Jonathan Khor is a Malaysian classical and contemporary violinist. Ever since picking up the piano and violin at the tender age of 5, his passion in music grew and led him to live his dream of becoming a musician . Graduating from UCSI University with a degree in contemporary violin performance, he has performed in many corporate functions, music festivals, concerts, pubs and lounges, as well as taking part in many talent and music competitions, coming up in top 3 places. Jonathan has recently played for the Langkawi Live Blues Festival and Publika Jazz Festival 2013. In 2011, Jonathan performed for the UCSI Contemporary Music Festival, playing along side Gonzalo Rubalcaba, opening for Sunway Lagoon's 2012 Countdown Party with great acts such as Rania from Korea and Ella from S.H.E. and many more. Aside from being a performing musician, he is also a violin instructor in a private school and . 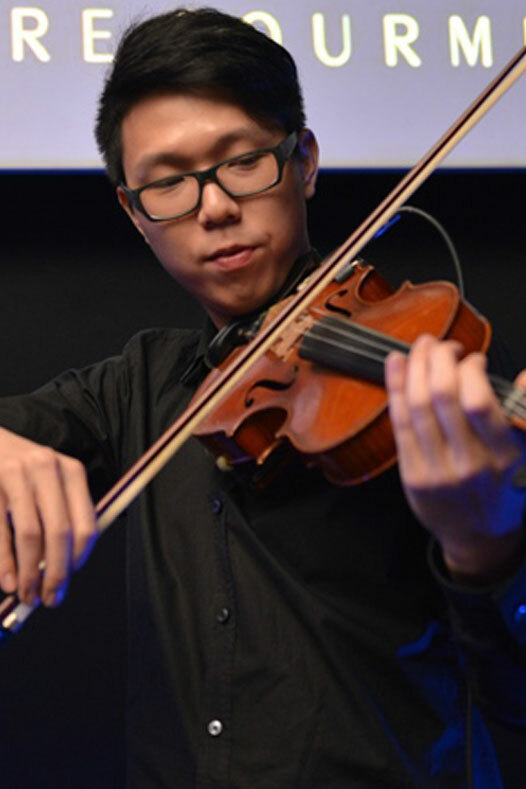 He plans to pursue his post-graduate studies in the near future and hopes to bring up the modern contemporary sound of the violin in the music scene in Malaysia. He is also a member of 'Douche Manouche', a gypsy jazz band based in Kuala Lumpur and a member of ‘Juanophobia’ on the verge of launching their first album under Sony Music Entertainment Malaysia label. - Corporate Functions - 1Malaysia 2010 Gala Dinner, Renovation expo at PWTC 2011, company dinners.